Nearly six months after it started empowering motorists with simple but very functional 24/7 traffic situationer in the Metro last June 29, the Traffic Navigator (TNav) was named “Information Technology (IT) Product of the Year” at the annual CyberPress IT Awards held recently. Powered by TV5’s online news portal InterAksyon.com and the Metro Manila Development Authority (MMDA), the TNav bested other nominees such as the Apple iPad 2, Epson’s new Ink Tank Printers, Smart Communications’ Net Phone and “Ultrabooks” powered by Intel chipsets. 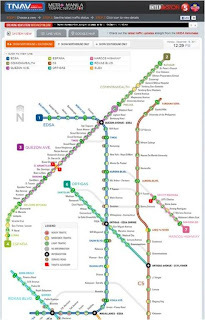 Nine major roads including EDSA, C5, Roxas Boulevard, Quezon Avenue, Commonwealth Avenue, España, Ortigas Avenue, Marcos Highway and South Luzon Expressway (SLEx) are now covered by the TNav. 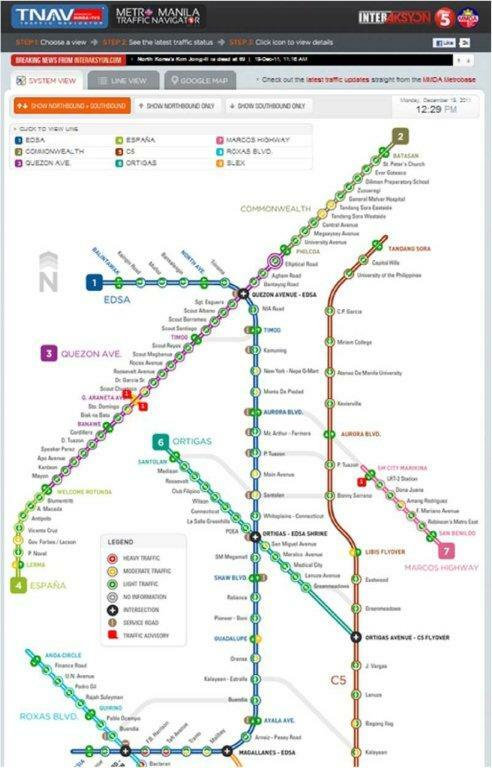 The traffic monitor service is being updated every 5 to 15 minutes via MMDA Metro Base. InterAksyon.com, the host site of TNav, has been on a winning streak since it was launched in February this year. In August, the traffic monitoring service bagged the Bronze Boomerang for Innovation at the 2011 Boomerang event organized by the Internet and Mobile Marketing Association of the Philippines (IMMAP). The online news site also received an award of excellence at the 10th Philippine Quill Awards by the International Association of Business Communicators (IABC) Philippines. InterAksyon.com’s special report on the highlights of Philippine worker migration also won the top award in the interactive category at the first MAM Awards organized by the Commission on Filipinos Overseas. For the latest traffic update, visit http://www.interaksyon.com/tnav.